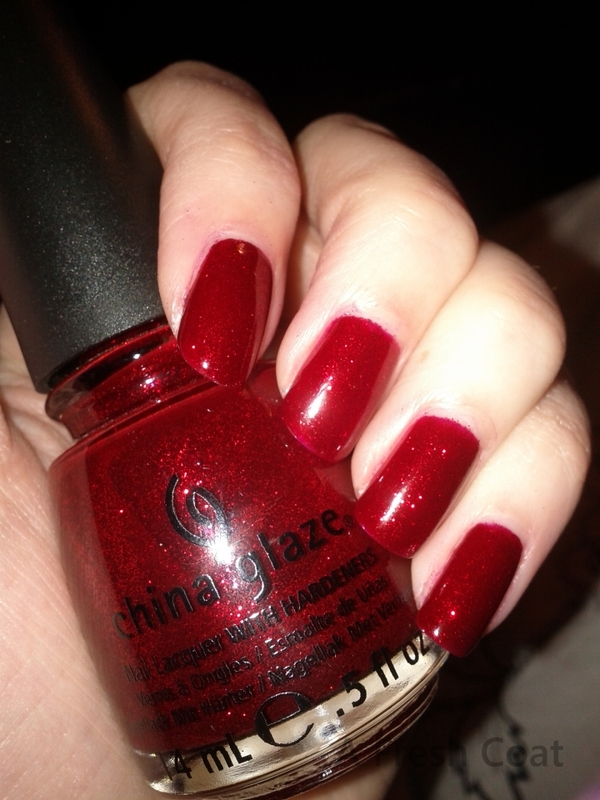 Today I am wearing ‘Ruby Pumps’ from the China Glaze Wizard Of Ooh Ahz collection. This color is amazing! I tried to take the pictures in different light so you can see the amazing sparkle. The pictures really do not do this polish justice! This polish was a dream to apply as it went on nice and even with absolutely no hassle. 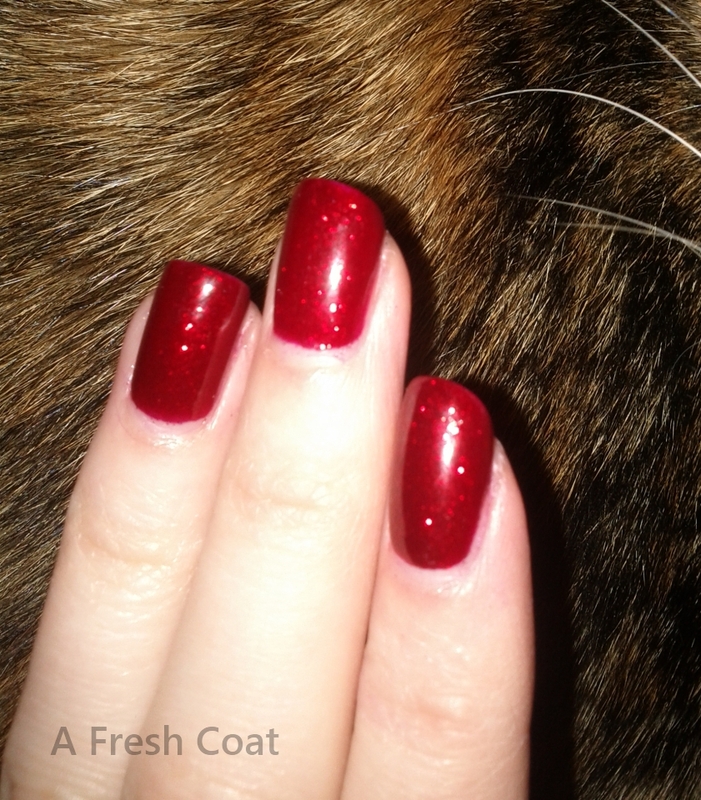 In the pictures I am wearing two coats with Seche Vite – Dry Fast Top Coat. 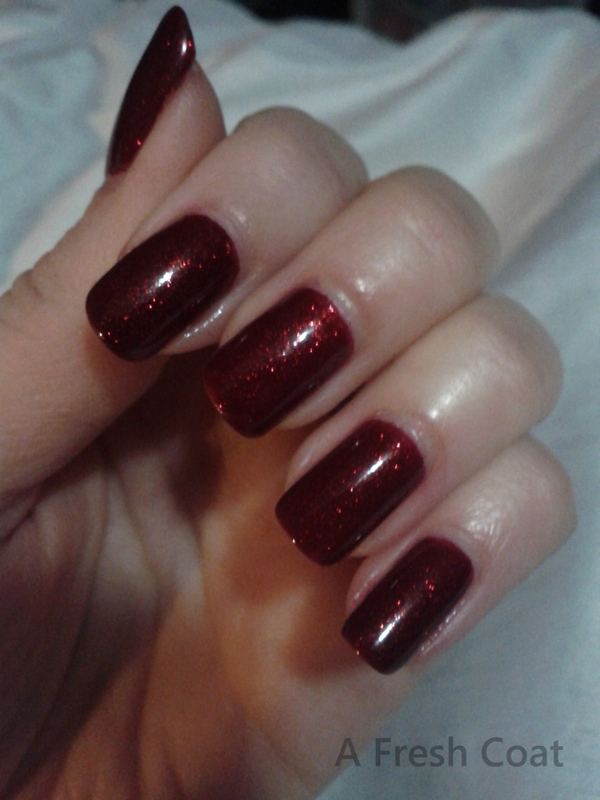 I love the sparkle of this polish!